I have noticed a drop in fps in massive battles using this mod. I can Play 10.000 units in vanilla with no lag but I get a serious drop in fps playing with this mod. Is this normal ? I am just surprised my gtx 980 cant handle it with this mod, pretty disappointing if you ask me. I love this mod. 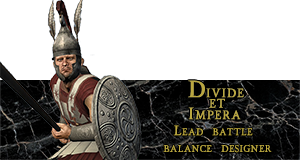 Well, Rome 2 is mostly CPU dependant so graphic card does not matter that much. Actually some settings when set below Very High will be put on your CPU instead of GPU! And even if you have great CPU, game was still not designed to use it properly. And yes, it was released in 2013 xD Atilla will propably suffer from exact same issues. Ok, in your opinion what do you think I should do to make it happen. Overclock your CPU as high as possible, which model do you have? are you sure just CPU ? no need for extra Rams ? overclocking gpu ? Have you tried the radious graphics mod? It is all about the cpu. Can you include a screenshot of you graphics settings? That way we can see what the issue may be. Thanks. edit: Also can you log what FPS you're getting in-game currently? Use a program like Fraps to do that and then imgur to upload your screens. Last edited by TheRazaman; February 02, 2015 at 10:52 AM. reducing CPU burden and in return give you more fps. Note : the most important thing here is you have to set those 4 options ABOVE "High" ! Note : those 3 settings are really CPU heavy burden alongside Unit Size !" 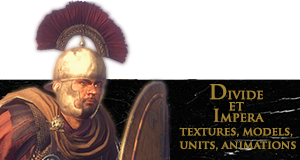 "I had that issue even with just normal Rome 2 despite having 8GB 2400MHz RAM and 3GB VRAM. The message stopped when I ticked "disable desktop composition" on the compatibility list on the Rome 2.exe. Try that." It's frankly hilarious how I can play this mod with everything in Extreme with no stuttering, and I have a Nvidia GTX 850M 2GB and a i7-4710HQ, and people with 970s and 980s can't. Wtf Nvidia? I have my 4790k running at 4.8ghz on a watercooled loop and it will still stutter at times on walled cities when large battles takes place. I also have 16gigs of ram as you do and Windows 7 64bit will usually cache up to 5gigs of memory when playing Rome 2. About 8gigs in total is being used (including cache) on my rig when I alt out of the game and check it. I think stutters in siege battles have always been somewhat of a problem even from the beginning when the game was released. Not that the many extra textures and units in DeI has helped. Not that this is in anyway helping any of you. I have a rather old rig and dont experience any stutter in land battles. And Im running GEM, Aztec and very high graphics. It's not the mod, it's just the game itself... I've done tests where I've overclocked my 6 core i7 3930k @ 4.9ghz, and I still couldn't maintain a stable 60fps v-synced on campaign map, nor when zooming into battles. I run the exact same 4790k with a GTX 970 and mine runs fine at 10k battles. You have to understand that the Engine simply put isn't fit for purpose. 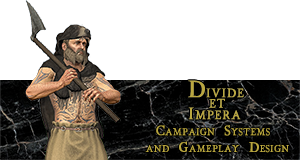 You can start a 30k battle in Rome 1 vanilla and it's gonna go choppy simply due to the engine. Last edited by Lord Dakier; February 08, 2015 at 04:52 AM. We Came, We Saw, We Ran Away! You see this blows my mind !! how is it possible for you to have lower specs and get better performance !!!! Maybe he has lower ingame settings.